I know it’s a cheat, but I really wish we had more time with the contestants. Losing 80 percent of them each show is brutal, as is the audience at home not getting a say in things. I don’t know if the CHAMPIONS version of the show can return—sure, there will be a lot of worthy contestants who didn’t make the top 10, but how soon could they do it without it feeling like the people who just didn’t make the cut this round?—but if it does, I hope they tweak the format a bit. ARROW: I love Laurel and Felicity’s weird friendship. As for the rest of the episode, it felt like it was trying to do too much at various points…all three of the main subplots could have been fleshed out more. But David Ramsey did a great job directing the episode. 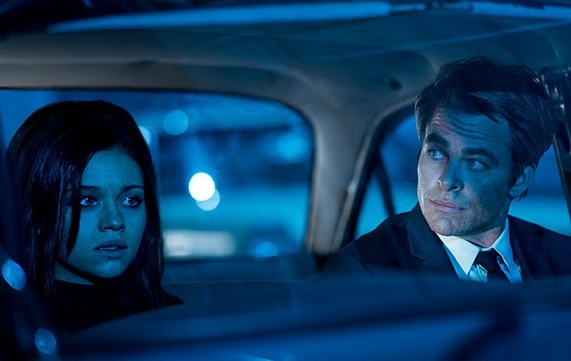 I AM THE NIGHT: The premiere was a lot of set-up, but Chris Pine laughing hysterically while locked in the morgue remains one of the most hilarious moments of 2019 TV so far. And India Eisley is so good.